Chamilia's extensive range of stunning charms allows you to form bespoke jewellery exclusive to you or a loved one. Make a lasting impression with this beautiful sterling silver red rose charm with an elegant hanging drop charm. 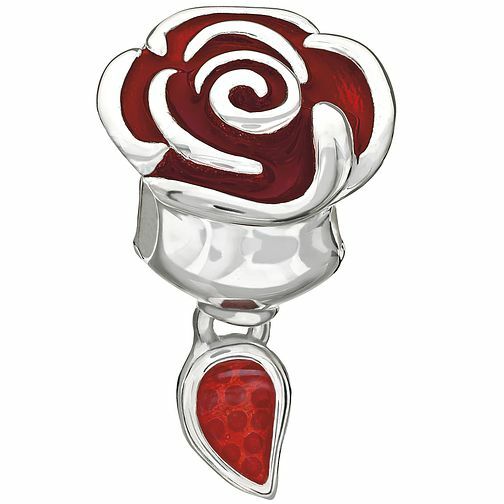 Chamilia Beauty & The Beast Belle's Enchanted Rose Charm is rated 5.0 out of 5 by 12.